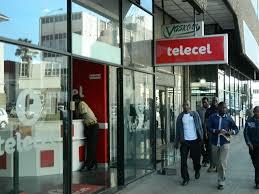 HARARE – TELECEL, Zimbabwe’s third mobile network operator, has increased the coverage and scope of the Long Term Evolution (LTE) service it launched late last year. It is now offering modems and bundles meant to ensure complimentary usage of the service. At the moment, Telecel offers a Customer Premise Equipment (CPE) modem which can be used either at home or in the office and purchased for $150. The modem can connect up to 15 individual devices to the internet. This the company believes the move will shield clients from prevailing economic problems. “We pride ourselves for being innovative and customer centric,” Telecel’s Communications and Branding Manager, Farai Katiza, said. New subscribers who purchase the CPE modem will get 5GB bundle free on their first month. The modem can be used in conjunction with a suite of data bundles that range from 5GB costing only $8 going all the way up to 75GB coming in at $90. Telecel has firm plans to cover more areas with the LTE service and avail these modems in the country as the coverage improves.